It wouldn’t be wrong if I said that probably am in Learning and Development function because of her, I loved her aura; that of an amazing trainer. She was the Training Manager at the Taj Mahal Hotel, Mumbai when I had just began my career. I attended the Train the Trainer program as I was to become the departmental trainer. She was a person that I dreamt to be like…. some day! During the program, each one of us had to deliver a short training session that was to be evaluated and when I did mine; her feedback said that it was perfect and that she really didn’t have anything to say about where I could’ve improved. Can you imagine, how elated I must’ve felt? I had basically followed everything that she taught us and I tried to emulate her, it was a perfect role play. Her words were more than enough to boost anyone’s confidence. We have kept in touch and I feel so privileged to have known such a feisty woman that she is; an inspirational lady, a celebrated trainer, a trusted mentor and coach who has contributed to creating many success stories in the hospitality industry. She is a social entrepreneur who supports many causes and is a torch bearer for many others that most of us only dream about. I met her a couple of years ago, she hugged me and said that she was so happy to see me still in the hospitality industry , that’s how she makes everyone feel special. When I went to Cornell for my PDPs she left a message for me that she’d like to learn from my takeaways of the programs that I attended. This would remain one of the biggest compliments that I’ve received. 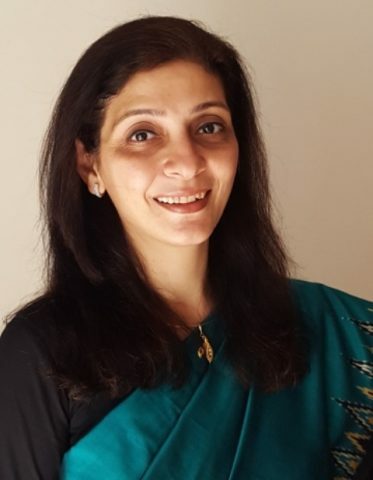 I feel humble, it is an absolute delight to host the incredible story of Ms. Pervin Bhasin of the Purple Path Learning & Development Consultants on IWH. Have tried to keep it in the first person, it’s her story and in her own words as I can never match up to her charisma and magic. The majestic grande dame of Mumbai – the Taj Mahal Hotel at Apollo Bunder had bewitched her ever since she remembered. No surprise that at thirteen, she decided that hotels were where she wanted to work. Some people took her seriously, most didn’t. Thought she’d snap out of it, as youngsters often do; dismissing it as a flight of fancy. And why wouldn’t they? Tops in studies, the obvious choices perceived for her by others were Medicine or Engineering – either would have thrown open their gates. Education in Hotel Management on the other hand, wouldn’t even grant her a degree (all one got then was a diploma at the end of three years of rigor). Not least of all, a girl in a hotel? Not exactly respectable, eh? Thankfully, none of that mattered. Because what did, she already had – the unflinching encouragement of her parents. They had always pushed their children (Pervin and her two siblings) to chase their dreams, whatever those were. All that the parents asked was that each one honoured his or her choice and gave it all. 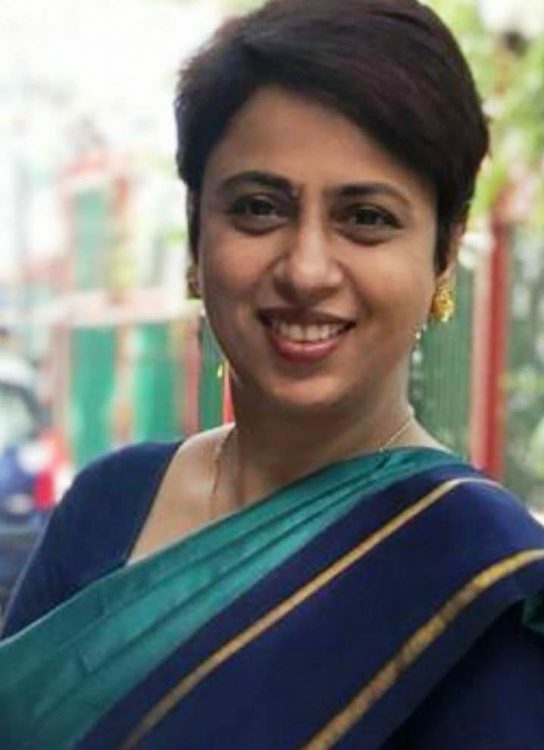 And so, she happily completed her course from the Institute of Hotel Management Mumbai, and was selected by Taj Mahal Hotel at Apollo Bunder for the Food & Beverage function; it was 1987. 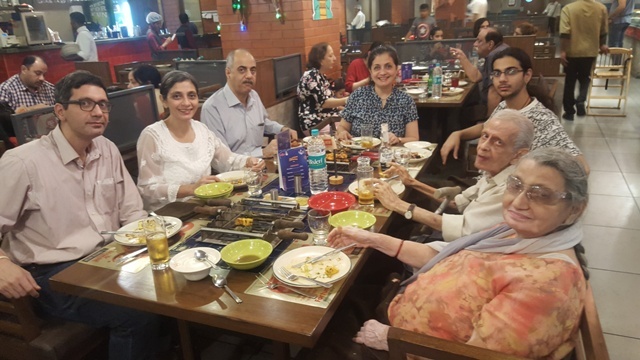 Thus began her lifelong bonding with two icons: the Taj, and her very first F & B Manager – the one and only Ms. Shirin Batliwala. She feels that both were exquisitely and inextricably woven into the fabric of the lifetime that she has been blessed with. 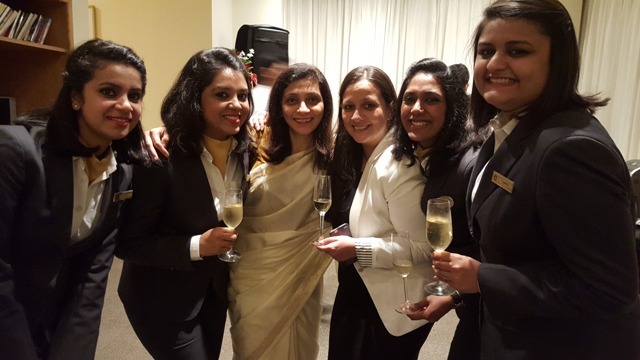 Much as I enjoyed F&B, guest interactions and the vibrancy of being ‘on-stage’, in just a few months I noticed myself gravitating more towards the people who made it happen -the hotel team. Even in those early months as Trainee, I would spend long hours chatting with them, soaking in stories of their families, their lives, their motivations, would observe them at work, would notice what uplifted and what deflated them. All of this would absorb me, and served as fodder for endless rumination, trying to wrap my head around the intriguing interplay of human dynamics and work.What rose to the surface was the voice of my deeper calling. And so, within a year, I left the Taj to pursue a Masters from the Bombay University in Human Resource Management. Only to return in 1990 to my home, the Taj. But this time, with the Training function (now rechristened Learning & Development). 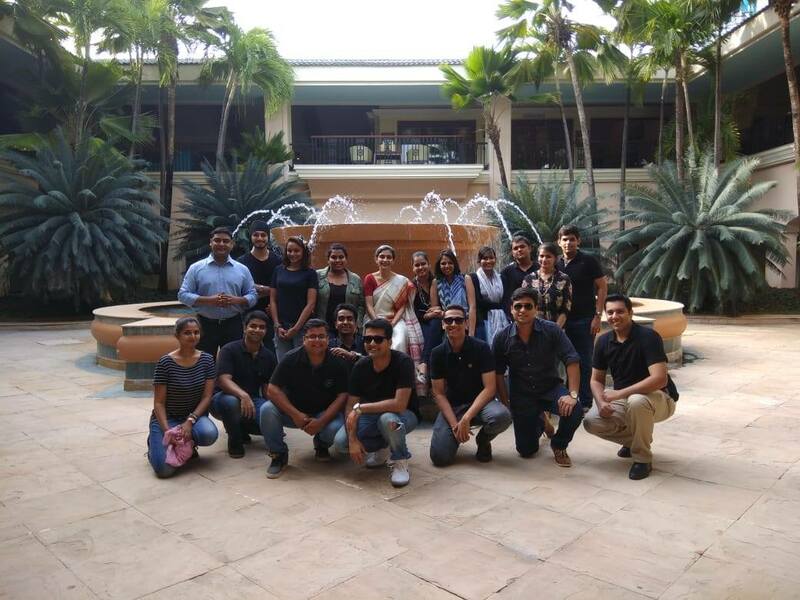 Starting at the Corporate office, followed by Taj Bengal, then Taj Coromandel, and finally Taj Mahal Mumbai. What an incredible journey it was. For starters, migrating from what was seen as one of the ‘hot’ departments to another that was considered relatively the underdog was by itself a learning experience in maintaining assertiveness without compromising humility. I loved my work, and was challenged equally by pushing myself to raise the bar constantly, while simultaneously strengthening collaborative relations with Operations, whose partnership was a non-negotiable for the difference we wanted Training to make. Relished the challenge and thrived on it.Anything more staid would’ve been boring. 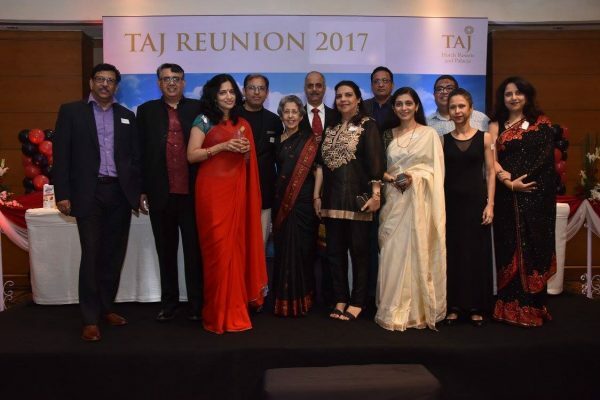 While the Taj chapter is itself a string of cherished memories, standing out like especially sparkly gems, are my years of looking after Training at Taj Bengal, the turning point in my career.‘Coz that is where I first independently took charge of Training in 1994. Also largely because it is here that I found in the Chambers Manager, a handsome young man, with a dimple in his cheek and a twinkle in his eye, my life partner, Pravin. And very much because no memory of Taj Bengal can possibly not have Ms. Shirin Batliwala adorning it. Experiencing her as a leader in action, was like being part of a leadership lesson being enacted to perfection, for she so effortlessly married cutting edge competence with the kindest heart ever. Here was a true blue inspirational leader, the stuff that text-books are made of. Led by her, we were a grand team, performed outstandingly, bonded marvelously and stay connected even today, despite being flung in different parts of the world. We were, and are, family. Thanks in large part to the Captain of our ship, Ms. Batliwala. For me, having her support meant that we could quickly crank up the work to fifth gear and go full throttle. With not just the regular training initiatives, but also the off-beat, non traditional, creative. She allowed us the license to experiment, to think new and whacky. So long as relevance could be established, and quality delivered, the playing field was clear. It was during my Taj Bengal tenure that the Taj Group introduced the JRDQV in the mid-nineties, which has now donned the TBEM avatar. Taj Residency Bangalore and Taj Bengal were the first in the group to introduce JRDQV. At Taj Bengal, this was now an added responsibility for me. Grappling with something so completely new was like taking a fast paced crash course in Quality and the robust Malcolm Baldridge model. Thrown into the deep end and compelled to swim. Led of course by our beloved GM. Sputtering, gasping, arms flailing, but swim we did, and how! 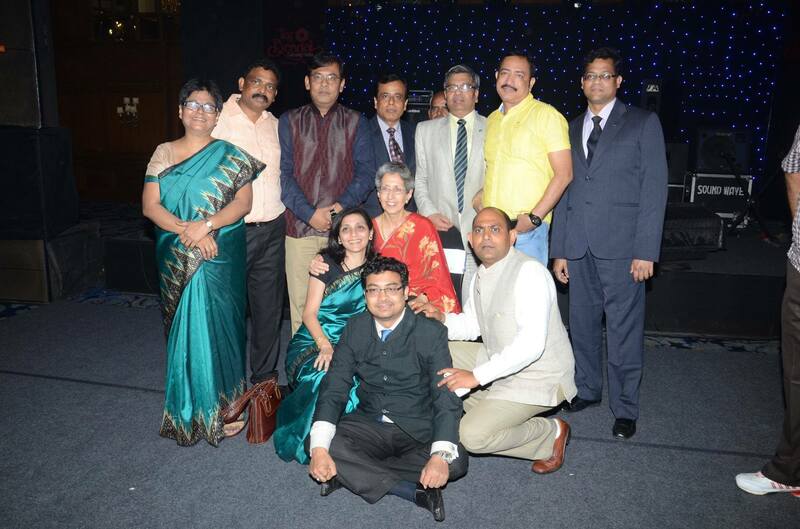 The second year of submitting our application, Taj Bengal won the citation in its category. No small feat, given how new we were to all of this. Our sweat and toil had paid off. This was our glorious moment of triumph. Challenges like the JRDQV proved deliciously juicy for sinking one’s teeth into, and kept me revved. The biggest reward of being part of the Training function with the Taj group, was how much we learned. Our reliance on external consultants being very, very limited, the larger portion of training at hotels was handled by us, the Training Managers. The Taj invested wisely in our own learning and continued professional growth, and we in turn brought it all back to our work. The freedom was heady, no one stopped us from experimenting. And we happily ran with the ball. I was fortunate to have been mentored by some of the best ever in the Human Resources and Training domains. With the highest regard and deepest affection, I remember the late Mr. V S Mahesh, uniquely and supremely brilliant. I recall with gratefulness, how much he encouraged me, how free was I to challenge and argue, even while I was a fledgling, and he a veteran. ‘The idea kid’ he would call me. He went too soon. With much fondness, I remember Mr. Len D’Costa who demonstrated how perfectly possible it is to be a benchmark human being and stay grounded, regardless. That competence and seniority need not hijack humility and humaneness. Guided by Mr. Alok Shukla, I sharpened an eye for detail and realised how critical it is to be meticulous and methodical even when impatient to get the job done. That it is only on the bedrock of thoroughness that the edifice of excellence can be built. Then, there was Anand Kasturi, my very first reporting manager in Training, who I owe my skills of facilitation to. He truly shaped me as a trainer. ‘That, Pervin, was a fine example of everything a training session must never be’,Anand announced his crushing verdict at the close of my first independent training session. How could he be flowery (not that he would’ve tried) when it was a royal flop-show? The words so rankled that high voltage 23 year old, that she grit her teeth and resolved to soon have him eat his words with pepper and salt. Precisely what Anand had intended. Knew me so well! My list of mentors from the Human Resources function would be incomplete without Mr. H N Srinivas, who I learnt so much from despite never even being a direct reportee. There was a centredness, a wisdom, a calm, an aura about him that made his very presence matter, whether or not he spoke a word. With the deepest affection, I remember the late Mr. Subir Bhowmick whose gruff exterior housed a heart of gold. To know what effortless perfection in hoteliering meant, one had to watch Mr. Bhowmick in action. At a personal level, I will forever cherish his nuggets of advice and caring ways. He treated me like his little girl. Even said so. He also went way too soon. Needless to add, there have been others as well; souls who in some form, some fashion, have shaped me, have gifted something of value. To all my mentors and teachers, I bow with immense, eternal gratitude. And a promise that I will always strive to be worthy of their mentoring. 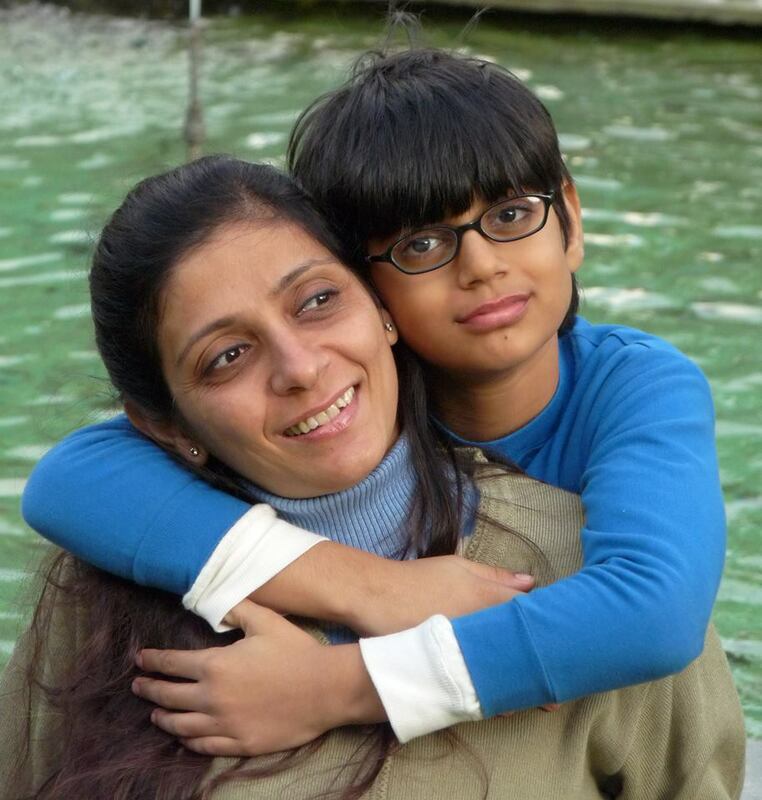 In 1999 while I was in charge of Training at the Taj Mahal Hotel Mumbai, with my baby boy Sidharth barely a year old,it became clear to me that being as work-obsessed as I was,the path I was on would most likely lead me to the end of Sidharth’s childhood with the regret that I had missed much of it. This, I could never allow;it was time I moved on. I loved the Taj dearly,but Sidharth, even more. Where my baby was concerned, a compromise was out of question. Simultaneously, had also started sensing the faint stirrings of a discontent of sorts, a gentle voice urging me to spread my wings beyond the familiar. Self employment seemed the perfect answer. It would bring variety, while allowing flexibility. So, in June 2000, ten years after entering the Taj for my second innings, I set forth on my next adventure. Solo! Would I succeed? What if I didn’t? Looking back, it amuses me that these doubt snever cast their shadow, not even fleetingly. Not once. Thank heavens. For, as it turned out, a decision with primarily personal motivations, turned out to be the smartest professional decision I ever took. Have never looked back. These last nineteen years of consulting have been more rich in learning and contribution than I would’ve ever dreamt possible. I have been blessed beyond measure. Work flowed in from the word go. In five years since going solo, with balance (between home and work) being a driving motivator, I was needing to decline assignments. That is when we, my husband Pravin and I decided that we may as well join forces. 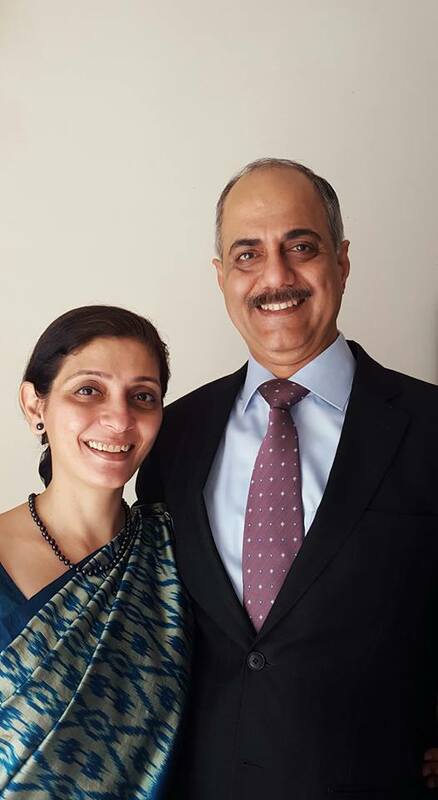 Pravin, a thoroughbred hotel professional himself, had by then, worked with the Taj for close to two decades.The decision made, Pravin too moved beyond the Taj and together, we began raising our second baby- Purple Path Learning & Development Consultants. Among the first things we did was articulate our Statement of Purpose. To the point and straight from the heart – Purple Path exists ‘To ignite the greatness inherent in every human being and help it find expression in the pattern of daily living.’ Our North Star. It is now 2019. Boy! What a glorious ride since 2000 when I took that leap of faith. With clients from across the spectrum – BFSI, Travel, Media, Healthcare, IT, Manufacturing, Construction, Education, Pharmaceuticals, FMCG, Hospitality (of course), the thrill of working with diverse audiences, across age-groups, across geographies. . . we couldn’t have asked for a journey more engaging and exciting. The learning is heady;continuous and copious. Sharpening the saw is imperative, constant upgradation is a must to stay relevant, making us lifelong learners. It keeps us youthful. That we can earn a tidy livelihood in the process is a big bonus. Above all, most fulfilling, is the opportunity to devote a lifetime playing catalyst,helping unlock human potential. The seed of greatness in everyone, from President to Peon is our inspiration; it is why we do what we do. It is why we get up in the morning, show up at work,strive to get better everyday, and why we will never hang up our boots. To nurture fellow human beings and behold them blossom, flourish, prosper, and above all, contribute meaningfully to the world, is no small privilege, not one to be taken for granted. Much of our work is in the Corporate context, but not all. A personal pet passion, emerging of late as a second calling of sorts, is to mentor and empower youth. Much of our work in this space is in partnership with educational institutions and NGOs (without excluding corporations). The focus is on strengthening the core in young people, helping them build a foundation that will empower them to engage with life with a totality and exuberance, a sense of purpose and contribution. In specifics, this translates to building life skills,confidence, communication, employability skills and crafting character. Words fall feeble in describing the joy of experiencing their transformation, as they stand at the cusp of adulthood. I happily confess a partiality towards Gen Z.We share an instant chemistry, and every opportunity to work with them, I greedily grab.Am all set to accelerate work in this domain. I wouldn’t trade what I do for anything in the world. Ms. Bhasin says they keep her young! Mid-life crisis is a lament common in folks my age, even younger. How unfortunate! Mid-life ought to be a celebration, a glorious review of the way one has lived until then. Which, in all humility, is how I feel when I take stock of my five decades of walking this planet. There is satisfaction in knowing that one obeyed the heart, was guided by purpose. Ampleased with the choices I made and honoured, aware that I stayed true to myself. Most times, at least. Life’s benevolence is evident in countless ways, not least of all in the loving family that is the wind beneath my wings – parents who not only lent me a firm foundation of values, but pushed me to stretch my wings with the faith that I would ably chart my path, a husband whose pride and appreciation means the world to me, ever supportive siblings, and an amazing son who makes me want to live as the best version of myself, so that I may be worthy of the honour of being his Mom. Ever aware of how abundantly I am graced, I live my life as a humble offering of gratitude. My cup overflows. No less grateful am I for the challenges, the trial and tribulation, the suffering. There’s been some of that too, as there must. Life would be incomplete without it, even insipid. Haunting childhood memories of helplessly watching parents with squeaky clean hearts and absolute integrity, suffer hell’s kitchen because of the pettiness of some others, must somewhere have steeled a resolve,which, as I grew up, found expression in my choice to live life as a warrior of light. Those memories too, am grateful for. They still haunt, but one learns to live with them. The Master’s chisel does not strike without purpose. It is up to us to embrace it. As memories of moments that stir gratitude flash before the mind’s eye, one stands out most radiant – the dayIsha Yoga came to me. A seeker for as long as I remember, the seeking had led me over the years to several practices, commonly termed ‘spiritual’. While all of them brought me something of value, the seeking did not dim. What I was seeking, even I didn’t completely know. Knew only that I hadn’t found it yet.Until, a little over a decade ago, at a friend’s suggestion, I signed up for the ‘Inner Engineering’ program by the Isha Foundation.And life changed. Not in what the externals were, but in how I experienced them; furthermore, in how I responded. A dimension beyond what I was aware of,began opening up. Just half an hour of this daily practice is empowering in ways that I am incapable of putting into words, hence will not even try. Suffice to say that Isha Yoga is somewhere top of my very, very long ‘thankful for’ list. They say that the Guru finds you. Am certain this is true. For I had no clue who Sadhguru was when I walked in that day for the ‘Inner Engineering’ program. Today, twelve years since, having experienced transformation in fast-track mode, I bow to Sadhguru with something that goes beyond love, reverence or gratitude. With that, I turn my attention away from the rear view mirror and back to the road ahead. There’s much to do, and am raring to proceed.